Finding the ideal wedding invitation can be difficult, especially for a winter event. 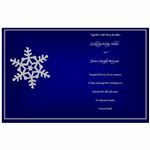 You can design and print your own winter wedding invitations, saving money and adding a personal touch. The following templates and design tips will help get you started. When creating your winter wedding invitations, there is no need to go the "red and green" route, unless of course those are your wedding colors. In fact, many color schemes are appropriate. Metallic colors, such as silver and gold are often associated with winter. Black and white are fitting, and jewel tones have become quite popular holiday colors as well. 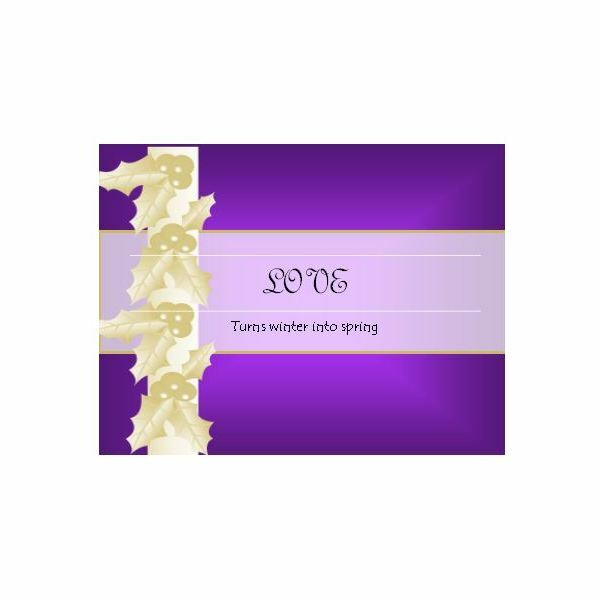 You can combine winter-related colors to create a custom color scheme for your wedding and invitations, such as the gold and purple used in this invitation template. This wedding invitation uses a purple jewel tone and gold combination to announce upcoming nuptials, but can be customized with any color scheme. 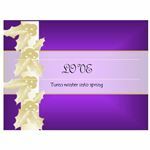 The front of the card states, "Love turns winter into spring." This quarter sheet top fold template prints one invitation per page. 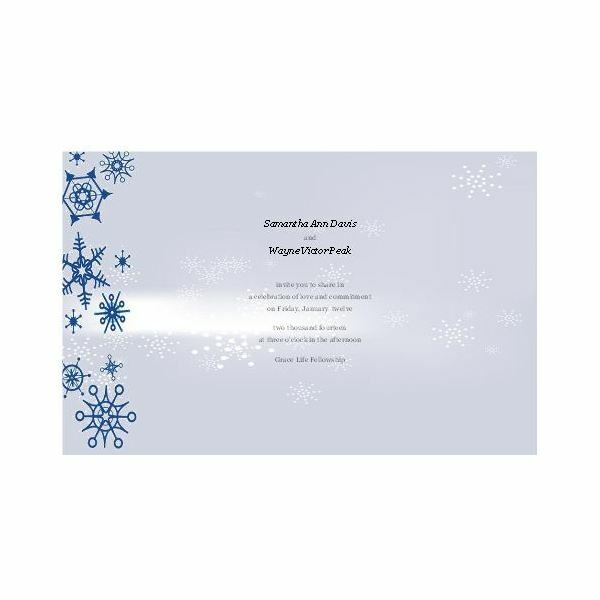 A winter wedding invitation can be heartwarming when you use romantic lines from poems, favorite authors or your own imagination. Include an eye-catching image, whether of a snowy landscape or you and your betrothed before a roaring fire. This template integrates tender words and a scenic image along with striking green and gold borders. 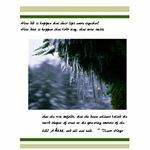 The front of the card displays an evergreen tree adorned with glimmering icicles and a quote from Victor Hugo that reads, "How did it happen that their lips came together? How does it happen that birds sing, that snow melts, that the rose unfolds, that the dawn whitens behind the stark shapes of trees on the quivering summit of the hill? A kiss, and all was said." This quarter sheet side fold template prints one invitation per page. Not only are postcard invitations easier on your budget (no envelopes required and postage is less expensive), but they also offer other benefits. During the winter, folks receive many types of holiday cards and newsletters. If you send your wedding invitations during this time, they may become mixed in with these greetings and accidentally overlooked. A bright, attention-grabbing postcard is sure to stand out. 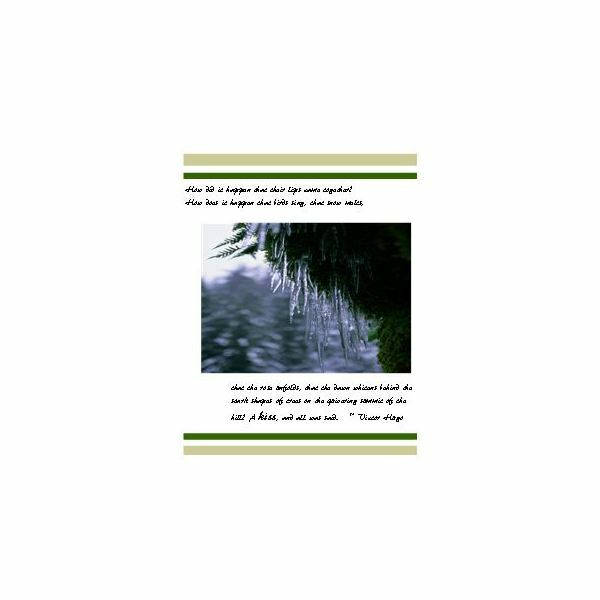 This template prints two postcards per page. 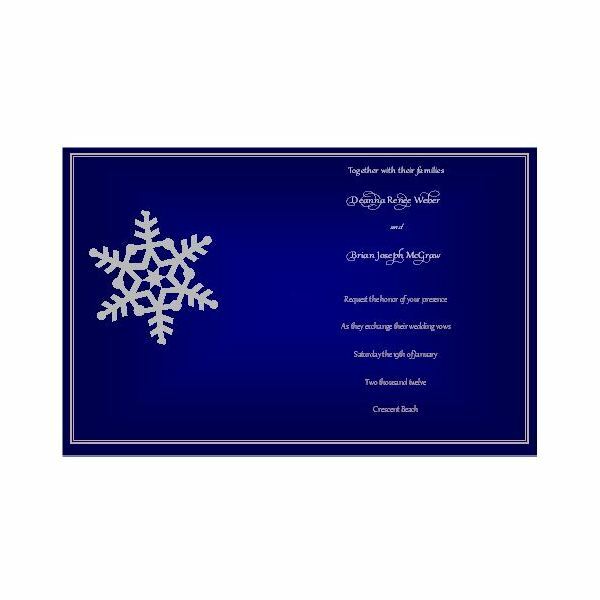 A royal blue background displays a silver snowflake and simple silver border along with sample invitation text in a lovely scrolling font. Embellish your invitations with images that bring to mind a winter wedding wonderland. Snowflakes, glistening trees, shimmering lights and gleaming ornaments will all look gorgeous. Coordinate your images with the colors of your wedding for a dazzling mixture of the season and the ceremony. 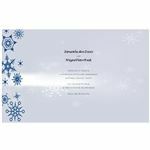 This template creates modern postcard invitations with a silvery blue background and navy snowflakes along the left border. Starry white snowflakes pepper the background as well. The reverse of each postcard includes placeholders for your return address, your recipients' addresses and even a stamp.